Peppa Pot Restaurant is a Jamaican restaurant in the South Wedge. One of their specialties is oxtail stew. It opened in early 2011. A second location opened in the East End in September 2018. 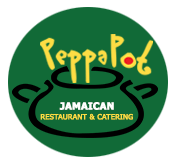 2012-01-28 12:01:12 Having just spent a month in Jamaica, I can say truly that Peppa Pot is *real* Jamaican food, and it's right up there with the best I ate in Kingston (where the owner is from)! I have to disagree with the reviewer below — the food was fresh and flavorful, had clearly taken time to make, and was just delicious. We had "brown stew", a chicken dish (and yes, watch out for bones — cooking things "bone-in" is also very typical of *real* Jamaican food) with rice and beans, veggies, and a dumpling (that was actually a little more like Jamaican festival, a fried dough, than a dumpling, but was so good!) We also split a fresh sorrel juice — made from flowers and ginger, it's a Christmas favorite. The sorrel was actually better than any I had while in Jamaica! Go to Peppa Pot — Rochester is so lucky to have it!